Stephen Travers tells you a lot about endurance and soul. It would be trite to say that he’s come out of the far side of trauma because we’ll never know such an experience. Three of his band members were killed on July 31 1975. Another colleague Des Lee was blown into a ditch while Stephen survived the absolute malice of a dum dum bullet – a fragmenting device outlawed in the Hague Declaration 70 years earlier. 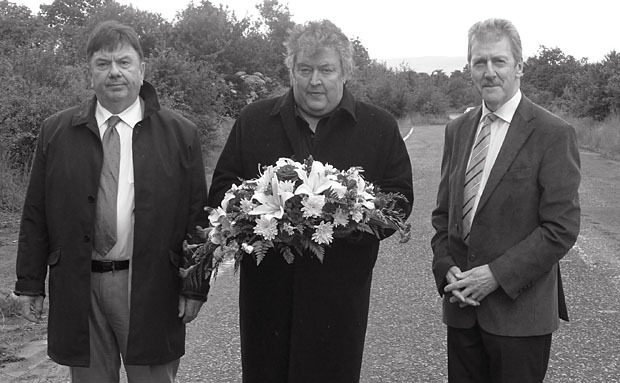 Then again, the Miami Showband killings were not constrained by any normal theatre of war. A previous blog on this site remembered the 40th anniversary of the event at Buskhill, on the road from Banbridge to Newry. A memorial event, at the site on the actual date, was understandably intense. Since then, Stephen has worked across Ireland and also internationally in the name of tolerance and understanding. At the same time he has not relented in his mission to uncover the back story to the killings and to dismantle the State machinations that he believes are impeding the truth. Des Lee, Ray Millar, Stephen Travers, Buskhill, July 31 2015. Importantly, the Miami story now figures in a Netflix series called ReMastered. It sits alongside docs on Johnny Cash, Sam Cooke and Bob Marley. The strapline reads, “the music you know, the stories you don’t”. This is for global consumption and the hurt of Stephen and Des has clearly made a connection in the first days since it was broadcast. The show makes a brisk survey of the conflict in Northern Ireland and explains the showband story before setting out the details of the killing. The images of the exploded VW van still disturb the viewer. Likewise the shot of the debris by the road (a platform boot, a tattered Miami promo photo) that recall the famous Don McCullin picture of the dead Vietcong soldier with his personal effects. Thus, their experiences are universally affecting. The doc sometimes strays into melodrama and over-employs library music to tweak the emotions. But then the story becomes something else. Much of this ReMastered episode is about the events after 1975, about layers of secrecy and chicanery that are reaching the public record. So a popular entertainment channel is now looking intently at British intelligence, possible collusion and a cover up. This is also gripping television. Stephen talks about his personal rehabilitation and a syndrome called Enduring Personality Change. He takes us through the Barron Tribunal and the work of the Historical Enquiries Team. He talks about “skullduggery” and how he met with a senior UVF figure. He also digests a line of communication between the paramilitaries and the Irish State that admits to British collusion and the supply of faulty detonators. Des and Stephen consider the possible involvement of Captain Robert Nairic. It’s a compelling line, although others outside the doc say that the date of the killing rules the British officer out. Meantime the Dublin-Monaghan bombings of 1974 are remembered and there’s a link to the same mid-Ulster murder gang. It’s messy and abhorrent. 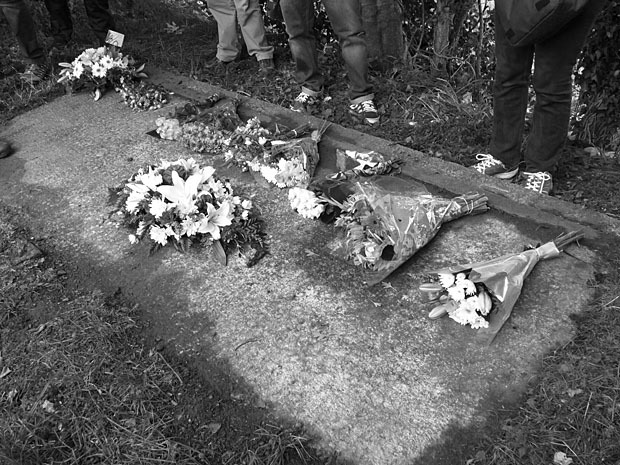 Stephen remembers looking at the autopsy photos of Fran, Tony and Brian. It’s like a Flann O’Brien novel in that Stephen has even doubted his own survival: “there was a time when I thought, perhaps I’m actually dead and that I won’t accept my own death”. There’s no mention of the 22 bullets that were fired into Fran at point blank range, or the handgun that was discharged into the guitarist’s scrotum. Even a show like this has limits.